Weight Loss: Here's Why Meal Times Are Crucial For Burning Maximum Calories! A new study Brigham and Women's Hospital and Harvard Medical School in the United States of America has explained why exactly irregularities in eating and sleeping can lead to weight gain, providing some insights into how we can reverse the trend and lose weight. We have all been told by our mothers to sleep and eat on time. But that advice was more than just a parental reprimand- there is solid science behind it. 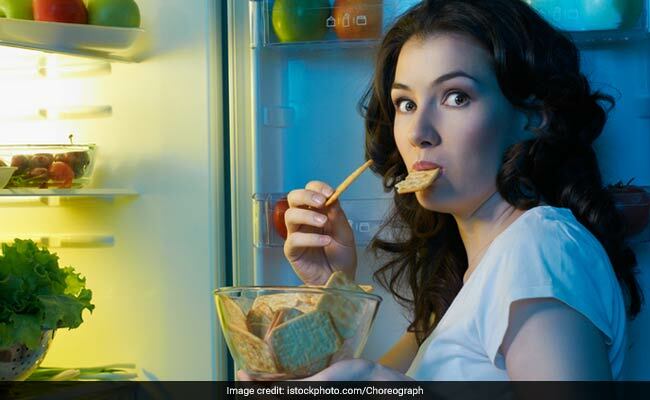 We are all often told how eating before 7 pm may help us lose weight and better manage our sleep schedules. Now a new study Brigham and Women's Hospital and Harvard Medical School in the United States of America has explained why exactly irregularities in eating and sleeping can lead to weight gain, providing some insights into how we can reverse the trend and lose weight. The study explains that the body burns different number of calories during different times of the day and it reinforces the importance of circadian rythms in maintaining an optimal rate of metabolism. The findings of the study were published in the journal Current Biology, and it said that to burn the most number of calories, it is important to watch when one eats and sleeps. One of the key findings of the research was that when at rest, the body burns 10 per cent more calories during late afternoon or early evening, as compared to early morning. This means that the body's use of calories follows a cycle, where it gradually increases as the day advances, reaches its peak around late afternoon and early evening, and then starts decreasing towards the night. To study the change in metabolism of the body over the course of the day, without factors like levels of activity, sleep-wake cycle and diet, researchers studied seven people in a laboratory where they didn't have any idea of the time of the day. The subjects didn't have any phones, windows, clocks or the internet with them. This allowed them to accurately measure the body's metabolic rate during different times of the day. The findings substantiate the fact that people with irregular sleep and eating habits are more prone to weight gain, than others who eat and sleep on time. What surprised the researchers was the observation that the body could burn different number of calories if one did the same thing at different times of the day. The resting energy expenditure of the body is at the lowest in the wee hours of the morning and it's the highest about 12 hours later, during the afternoon and into the early evening. Through this study, researchers concluded that regularity of habits like eating and sleeping are very important to overall health, and that it's not just what we eat, but when we eat it, that determines the amount of energy burned or stored as fat in the body.